Treat your feet with your favorite characters from Star Wars, the Stormtroopers and Darth Vader. 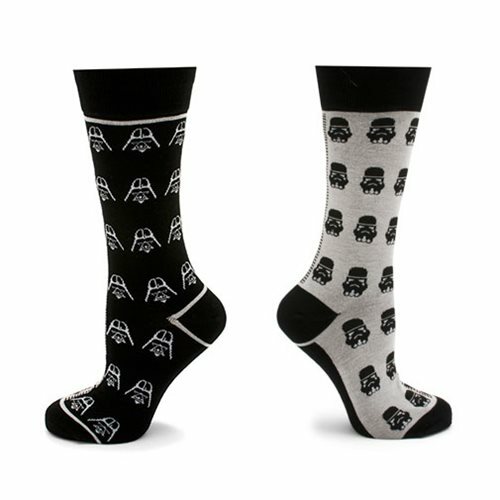 Made with JuteCell yarn, these Star Wars Darth Vader and Stormtrooper Split Socks are eco-friendly, antimicrobial, and feature moisture wicking properties. Most feet will fit these socks (up to men's size 12).